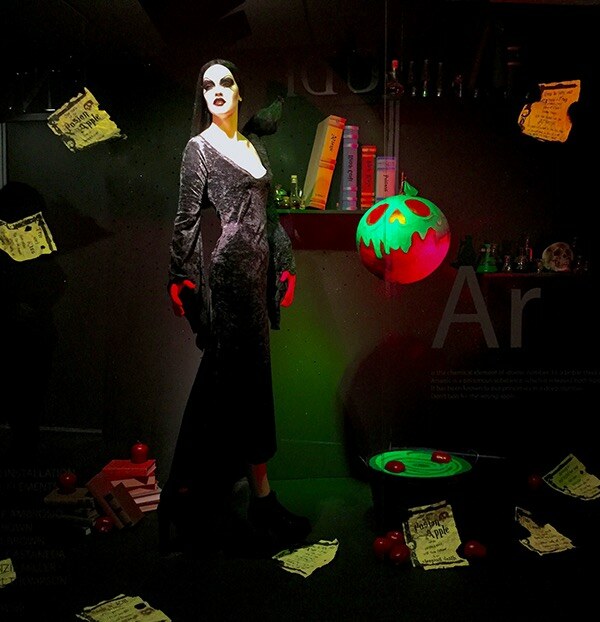 This was a window displaying of an interpretation of the element Arsenic. Group members and I designed the window to tell the story of how Arsenic is used a poison. 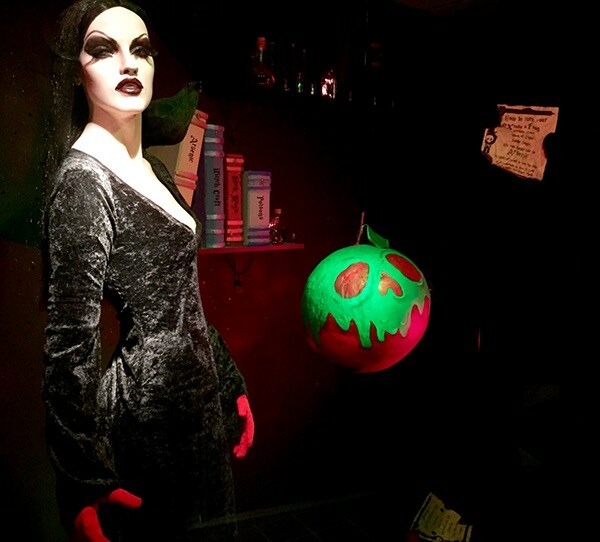 We created the setting of a evil witch inside of her lair creating a giant poison apple. In the background are selves of various potions and spell books. 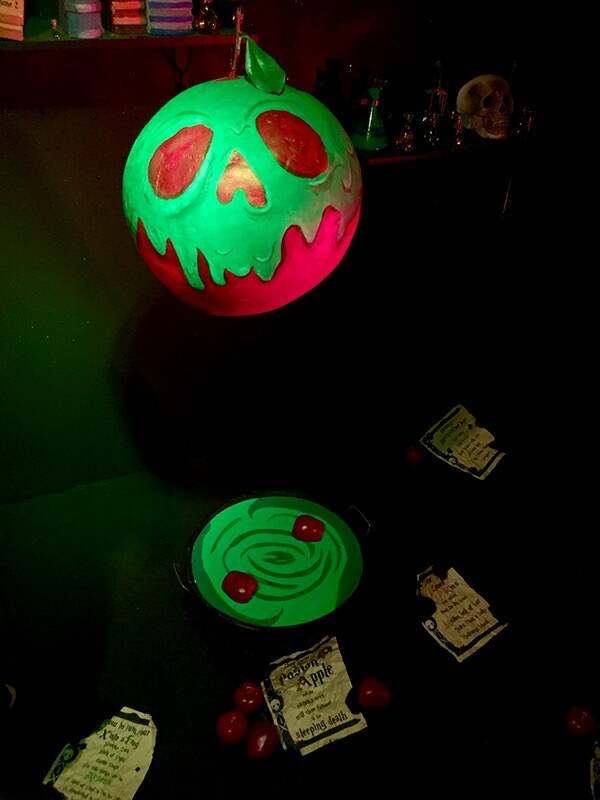 Surrounding the witch are various floating spells that read different formulas for a killer spell. This all leads to the focal point of the window, the giant apple. Which is sure to put any princess into a deadly slumber. For this window we used various techniques of prop fabrications and faux finishes. 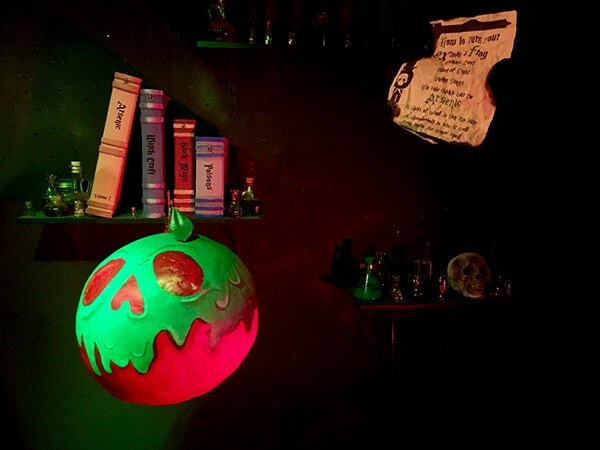 I sculpted the giant apple and used a faux finish to give it 3D and realistic values.